Sen. Patrick Leahy questions Judge Neil Gorsuch before the Senate Judiciary Committee last week. Sen. Patrick Leahy (D-Vt.) did an about-face Monday and joined his caucus in an attempt to halt a Senate vote on U.S. Supreme Court nominee Neil Gorsuch. Leahy had been clear that he opposes Gorsuch’s ascendancy to the court. What’s new is his support for the parliamentary move to try to stop the Senate from voting on President Donald Trump’s nominee. He said otherwise during a Senate Judiciary Committee hearing on Monday. “I will not support advancing this nomination,” Leahy declared — which is to say he now is inclined to filibuster. Under a Democratic filibuster, Republicans, who hold 52 of the 100 Senate seats, would need 60 votes to let Gorsuch’s nomination proceed. 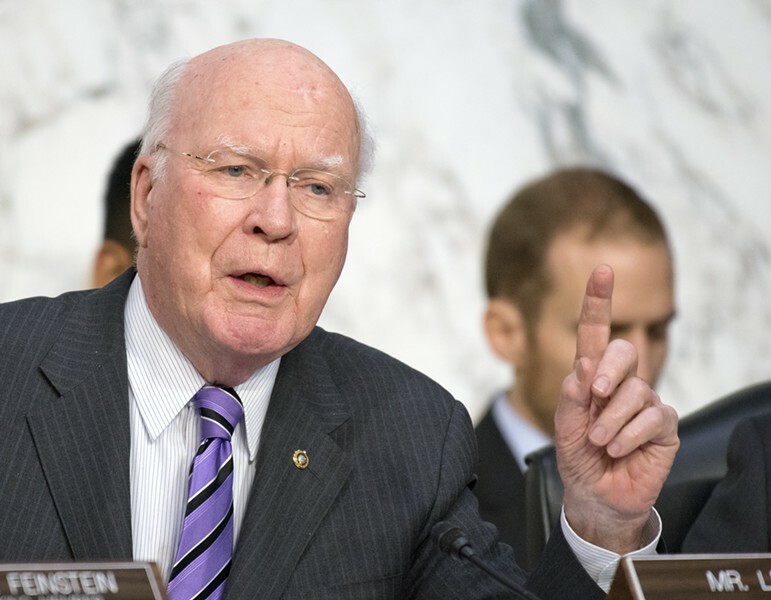 Fellow Senate Democrats needed Leahy’s support to reach the filibuster-able number of 41, so the senior Vermont senator no doubt got pressure from the caucus leadership to go along. When he came into the fold, Leahy did so with gusto. “Perhaps no member sounded as aggrieved as Senator Patrick J. Leahy, Democrat of Vermont and the Senate’s longest-serving member,” the New York Times reported Monday. Leahy later cast a vote against Gorsuch’s nomination, but the Senate Judiciary Committee voted 11-9 to advance it. The senior Vermont senator’s willingness to filibuster might turn out to be just as ineffective as his committee vote, however. The Republican Senate majority is looking to change the Senate rules so that they need a simple majority rather than 60 votes to approve a Supreme Court nomination. Sen. Bernie Sanders (I-Vt.) has also said he’ll join Democrats in a filibuster.